Detection limit: 0.01 gm of stained DNA. Ultra thin U. V. Transilluminator Very for small look Portable, very work. View Area: 185 x 185 mm Approx. ZenithTransilluminator - Ultra Violet and White Light feature special glass filters that block all visible light and only pass ultraviolet rays of the designated wavelength. This ensures clear and distinct observation of gels placed on the transilluminator, with nearly no visible light. Keeping in mind the changing requirements of the customers, we are engaged in offering UV Transilluminator in bulk at most reasonable prices. 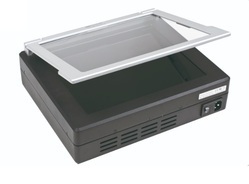 The offered UV Transilluminator extensively used in molecular biology labs to view DNA (or RNA) that has been separated by electrophoresis through an agarose gel. LED based light source, eliminating use of UV light. pectroline transilluminators provide maximum fluorescent response for nanogram sensitivity with minimal UV damage to samples with a variety of choices in wavelength, wattage, filter size and variable intensity controls. Our company holds vast experience in this domain and is involved in offering Medical Transilluminator. 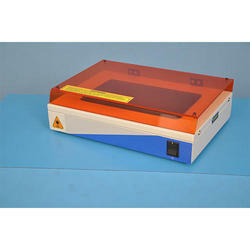 We are engaged in offering UV Transilluminator.